Random Causes… “Feeding the World, Caring for the Earth”. World Food Day 2014. What a wonderful phrase for the theme of World Food Day 2014. Raising awareness of family farming and smallholders. This year, the attention of the world is being drawn to eradicating hunger and poverty, by raising the profile and importance of family farming. By providing food security, nutrition and better livelihoods to farmers, food quality and harvests can be improved and in a way which is sustainable for the environment. 1 in 9 people worldwide are undernourished, yet a third of all food intended for human consumption is wasted. Of course, this is in both developing and developed countries, and 1 in 10 people here in the UK struggle to afford their next meal. Supporting FareShare can help these people close to home. In developing countries, many farmers who make our food are also hungry themselves, and cannot feed their families. Perhaps they lack access to good quality seeds or transport for their crops. Sometimes they lack the required education to increase yield, or to care for the land so that it keeps giving nutrients. Often there are corrupt governments or unfair systems and practices in place. It’s vital to ensure the well-being of those who make and grow our foods. No-one should have to suffer and go hungry for the foods we love and enjoy, such as tea, coffee and chocolate. And as mentioned earlier, we have to look after the environment and ecosystem. Ever increasing human consumption of food, leads to more and more stress being placed on the ecosystem. Caring for it and ensuring that farming is sustainable is essential. And this is where organisations such as The Fairtrade Foundation, Tree Aid, and The Rainforest Alliance comes in. The Rainforest Alliance does not simply focus on fair pay and living conditions, it also puts a heavy importance on education and environmental conservation. Farmers are educated in the most productive and yet sustainable methods of farming. They therefore build a better life for themselves in this way. How can you support these farmers? Just #FollowTheFrog. Look out for this little fella next time you’re out shopping. 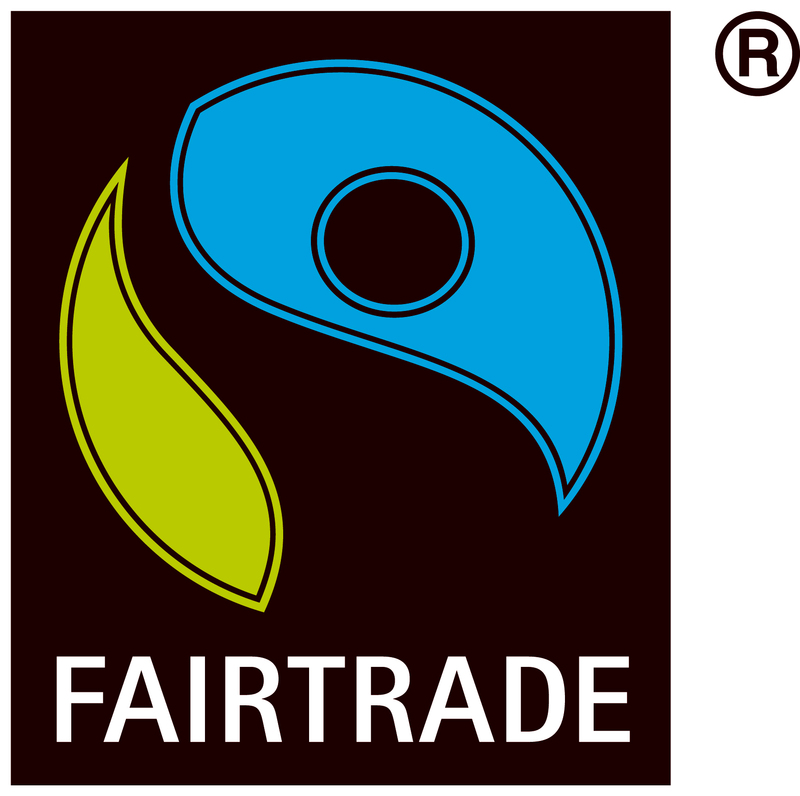 You can also keep an eye out for the Fairtrade certification on products. Fairtrade is all about better prices, good working conditions and fair terms of trade for farmers and workers. The fair trade mark tells you that all of the social, economic and environmental conditions of the Fairtrade Foundation have been met. Fair Trade Premiums (additional money on top of basic earnings) can be invested into schools, housing and better environmental practices. Last but not least, it’s important to mention the wonderful charity Tree Aid. Working in the drylands of Africa, they help villagers unlock the potential of trees to break the cycle of environmental decline and poverty. For example, they have helped some farmers more the double the amount of food produced in a year. Trees produce so many benefits, foods and super foods such as baobab and moringa. A grafted mango tree should fruit after 3 years and may still be producing fruit after 100 years. The benefits are endless. Joanna Lumley is a huge supporter of Tree Aid. Perhaps you can consider giving something to help not only the people, but our planet. Or consider buying some of the gorgeous supplements and oils from Fushi, who work closely with Tree Aid. You can find out more about any of the organisations mentioned by clicking the links within the text. As well as buying with more awareness, there a so many other things you can do at home. Consider how much food you waste. Perhaps you can buy smaller shops, or cook less food. Look for inventive ways to use leftovers and scraps. For hints and tips, head over to the Love Food Hate Waste website. The planet has the potential to support us, but we need to overcome greed and poor practice, in order to improve the lives of those around us and protect the planet for future generations. Do at least one thing today to step towards a happier and healthier future for our planet and those who live upon it. Previous Post Random Tea… Chocolate Orange Goodness!! !